Utility Vent Sets | S&P Canada Ventilation Products, Inc. 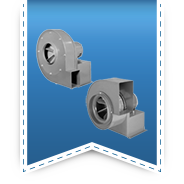 The CM Series belt driven backward inclined Utility Vent Set fans offer an excellent choice for all medium and high pressure exhaust or supply applications for commercial, institutional or light industrial air movement projects. All models are supplied complete with motor mounted on an adjustable base, v-belt drives, heavy duty ball bearings and integral mounting platform. The installer friendly design simplifies and reduces the cost of installation. 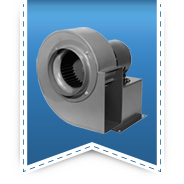 Each complete fan is tested prior to shipping to ensure smooth, vibration free and consistently reliable operation to provide years of dependable service with minimal maintenance. The Forward Curved Utility Vent Set with ULTRAFAN-PAK fan wheels are versatile, quiet, and energy efficient. These utility sets are the best selection for many industrial, commercial, and institutional projects. Typical applications include hood exhaust, welding fume exhaust and flammable gas exhaust. Ventilation of theaters, restaurants, stores, hotels, kitchens, gymnasiums, laundry rooms, lavatories and locker rooms are other common applications for utility sets. The PW and KE Radial Blade Blowers feature a self-cleaning wheel. KE may be used on small kitchen hoods. 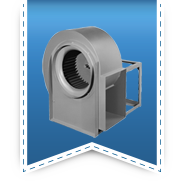 These fans are used for exhaust applications where dirt, lint or other foreign material is in the air stream. 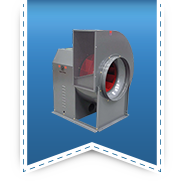 They are used successfully in a variety of applications including, but not limited to, dust collection, mining applications, agricultural and industrial drying equipment, commercial laundry dying applications and hazardous fume exhaust. Open proof ball bearing motors in single and three phase voltages are standard. TEFC and explosion proof are also available. 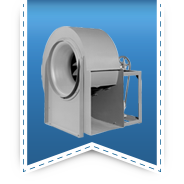 The standard "D" Series is used for general ventilation with ducting wherever low CFM, Static and Sound is required. The High Speed "D" Series will handle higher static pressure and is used with garage monoxide system and industrial applications. Housing and bases are manufactured with 16 gauge steel and finished with baked powdered polyester paint. The forward curved wheels are dynamically balanced and equipped with cast iron hubs. Open drip proof fan duty motors in common voltages are standard. TEFC, Explosion Proof and other configured motors are available as required.